Sometimes things just work out. Or you can say hard work pays off for those who keep to the grindstone. 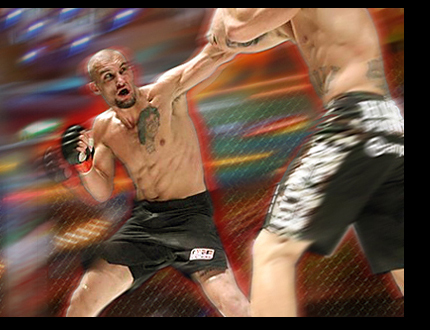 I am the owner of Tiger Muay Thai, and seven-years- ago, I was purposeful in my approach in bringing a real MMA instructor for our MMA program to Phuket and Tiger Muay Thai…..the MMA had yet to truly arrive. After a series of trainers like Alex Reed, J.P. Pocock, and Daniel Sainty, going through three solid trainers in less than 1 1/2 years, I took an ad out in MMA.TV…..here is where the destiny and sticking to my purpose part comes into play. After posting an ad “MMA Trainer wanted in Phuket, Thailand,” I expected replies like “How do you say that name?” and “Where is Phuket?” But out of several intriguing prospects, a sold MMA vet with a Blue Belyt in BJJ answered the add. My first question: “Are you willing to stick around dedicate yourself to building a real program or are you another MMA fighter looking for some fun in the sun and a cool vacation teaching some MMA in Thailand. The following article by former Muay Thai Phuket magazine editor James Goyder for ESPN’s Martial Combat is the rest of the story.